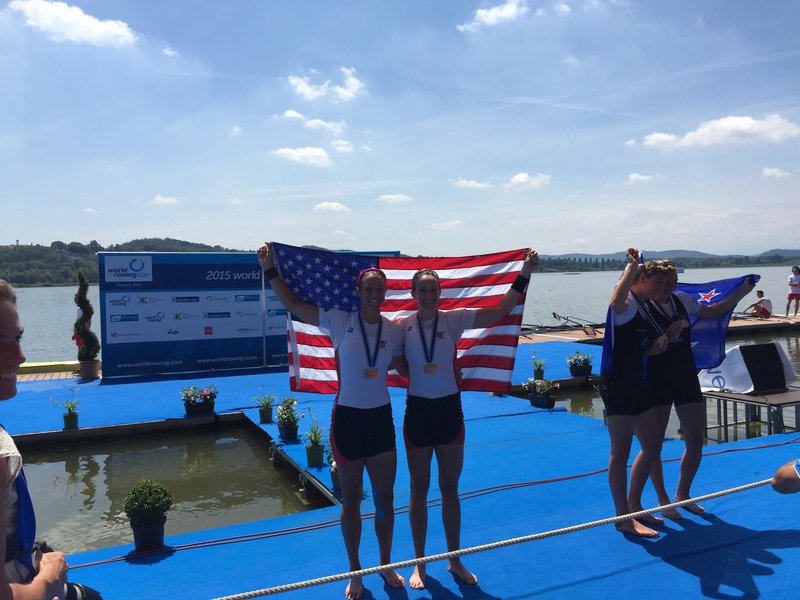 It’s been almost eight weeks to the day since the USRowing National Selection Regatta I, where Ellen Tomek and I won our bids to represent the U.S. at a World Cup in efforts to qualify the women’s double and our spots on the 2015 U.S. National Team. I’m proud to say that in another eight weeks, Ellen Tomek and I will be in the middle of our last bit of preparation as members of the National Team representing the United States at the 2015 World Championships in France. 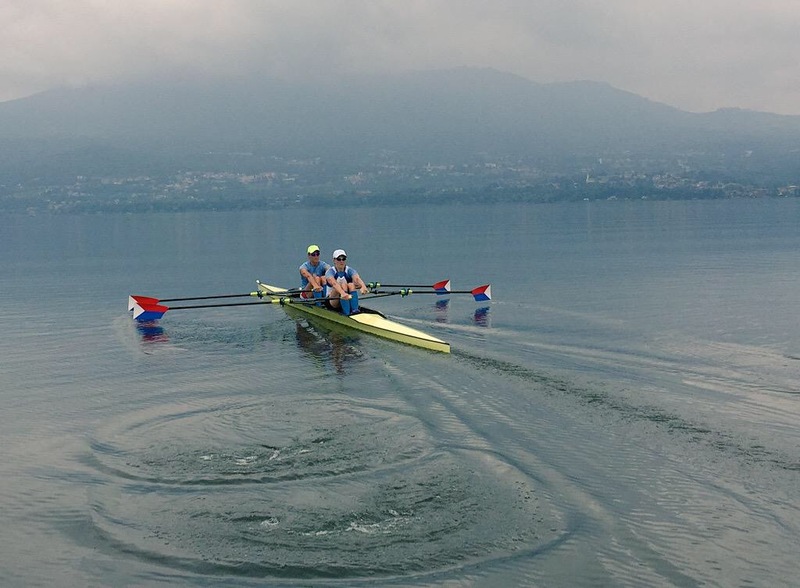 Hands down, Ellen and I had our overall best regatta performance this past weekend at World Cup II in Varese, Italy. We had the baseline goal of qualifying the boat with a top seven finish. Beyond that, it was the aspiration to medal and less tangibly, we felt we had something to prove–more on this in the next post. For the U.S. National Team and elite level, there’s not a lot of racing. We race maybe three to four times a year. As a crew, our last race had been NSR1, and it was a rather lukewarm performance for us. At the World Cup, we would see the best crews in the world and couldn’t get by with just lukewarm. Going into the regatta, we felt good. The rowing had been going fairly well, we were comfortable in our boat, healthy, and ready to see what kind of speed we had at this point in our training. The first two days of the regatta flew by. We won both our heat and semifinal, posting the fastest times in each round. This was good; now we knew we had speed. But in a field as competitive and deep as the women’s double, you can never read too much into how the heats or semifinals go. It’s anyone’s line to grab come the final. After crossing the line first in the semifinal, we celebrated the small victory of officially securing our spots on the National Team and then quickly returned to full focus; the big one was tomorrow. Sunday morning before the race, Ellen and I went for our usual pre-race paddle. Ate our breakfast quietly, personally contemplating the potential fate of what lay ahead. We both tried napping…unsuccessfully. Perhaps it was the hotel staff cleaning the room above ours (it sounded more like roller skating), or perhaps it was the adrenaline already coursing through my veins, but I only closed my eyes to see race scenario after race scenario. I must have gone through 2,000 meters a hundred times. We threw down what was arguably the closest race of the entire regatta in the Final to come away with the silver medal, just 0.14 seconds out of first behind New Zealand. I’ve alluded to the women’s double being the most competitive and deepest event across all boat classes, and this weekend’s World Cup racing did nothing but validate that. It’s an honor to compete in such a top class and high quality field of athletes. The funnest part about it is that every race is an all out battle, and there are no gimmes. 2015 WC2 A Final; last 250 meters sprinting it out with New Zealand. Photo courtesy of USRowing. I couldn’t be prouder of my partner, Ellen Tomek in stroke seat for setting the rhythm, trusting my calls, being confident in our abilities and leaving it all on the water as we raced the best race in our history together as a crew. Missing out on gold by 0.14 seconds to the 2014 World Champions is only fuel to the fire we’re building for the 2015 World Championships in September, and beyond that, hopefully a run next summer in Rio. If you haven’t had a chance to watch any of the racing, all of the A Finals are available on the World Rowing website HERE. 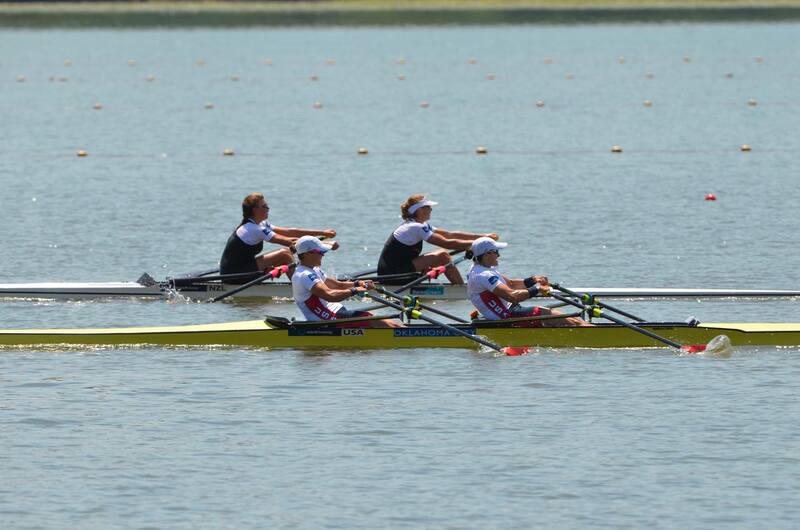 Separate from our race in the women’s double (W2x Final – FA), there were several other fantastic Finals. I was literally jumping on my bed in the hotel watching the W2- Final come down (this was while I was supposed to be resting and preparing for my Final a few hours later). Megan Kalmoe and Kerry Simmonds threw down a heroic race to win silver and set the tone for the rest of the day. The United States brought home a total of eight medals. A big shout out to the U.S. Women medaling in every event entered (W1x, W2x, W2-, W4-, W4x, W8+). What’s next? We returned to Princeton, NJ where we’ll spend the rest of the summer. We took a short day to recover from competition and travel, and then dove right back into training. The 2015 World Championships take place August 30-September 6 in Aiguebelette, France. We’ve got another eight weeks to build on what we’ve accomplished thus far and make sure that we finish on the other side of that 0.14 seconds come September. Congrats and best of luck!! Sensational result Meghan! Congratulations in securing your spot on the national team. Good luck to you and Ellen at the Worlds in September.